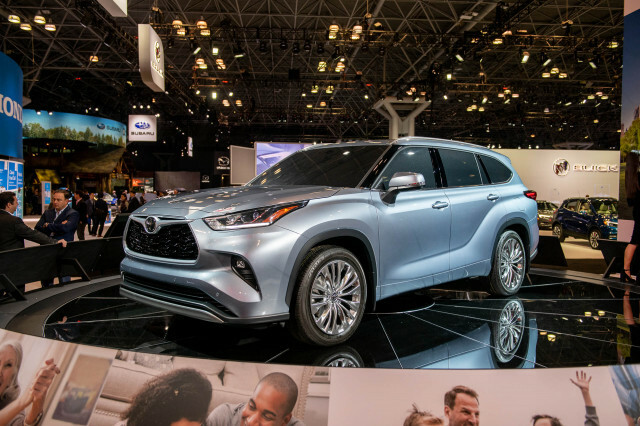 Mazda hasn’t ignored the possibility of a hydrogen economy, but it’s taken a quite different path than other automakers with its hydrogen test vehicles, like the Premacy Hydrogen RE Hybrid. Instead of using costly fuel cells, it’s focused its hydrogen efforts around a rotary internal combustion engine fueled with hydrogen. The Japanese automaker introduced a RX-8 Hydrogen RE—simply powered by the so-called Renesis rotary engine, adapted for hydrogen—back in 2003. 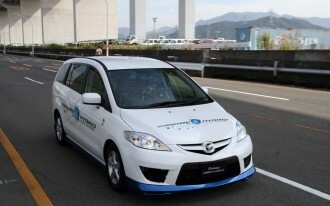 Then in 2007 Mazda announced a new hydrogen-hybrid version of its Premacy, a vehicle known in the U.S. as the Mazda5. 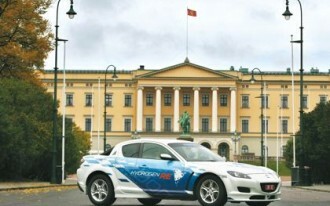 Mazda continues with its RX-8 project—most recently with the delivery of vehicles to the Norwegian partnership HyNor—but the automaker is looking ahead to the Premacy H2 RE as a more advanced evolution of its hydrogen technology, with improved performance, practicality, and driving range. 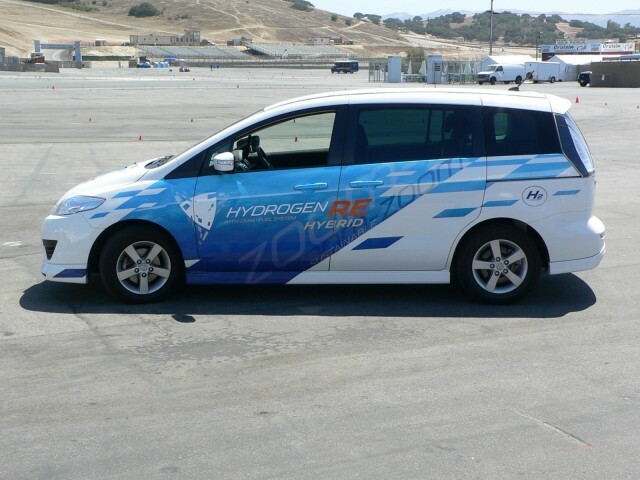 While the hydrogen RX-8 is sluggish on hydrogen, with the engine making about half of its normal horsepower rating with hydrogen, the new Premacy Hydrogen RE Hybrid that TheCarConnection.com recently drove can accelerate to 60 mph in around ten seconds and reach a top speed of more than 100 mph. As in the hydrogen RX-8, the on-board RENESIS rotary engine can burn either gasoline or hydrogen—in hydrogen mode, it emits only water vapor, but because petro also goes in there, tasting tailpipe contents is unadvisable. The rotary engine is virtually the same, design-wise as what goes into the 2010 Mazda RX-8 sports car, with slightly revised lubrication. Its design is naturally well suited for hydrogen, Mazda says. However in the Premacy, the rotary doesn’t directly move the vehicle; it instead powers a generator that charges a small lithium-ion battery pack and helps power a 110-kW electric motor. The Premacy H2 RE does have a plug to give you enough juice to limp home if needed, but this is neither a plug-in EV or a range-extended EV; the lithium-ion battery pack doesn’t have much range—an engineer said that it could creep at low range for a couple of miles—so the rotary engine is an almost ever-present companion. 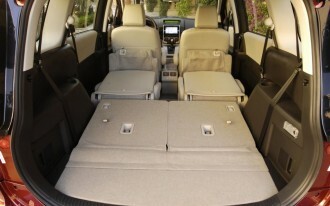 Turn on the ignition in the Premacy, and the first steps are a lot like in a Toyota Prius. Engage Drive and step gently into the throttle pedal and the H2 RE moves quietly ahead quietly in electric mode only; go into the gas a little bit more and the rotary engine starts up and winds up to 2,000 rpm or so; but stomp the right pedal and the rotary sound takes over all the other electric-powertrain sounds, revving to 6,000 rpm or more to keep the battery charge up and power flowing to the motor. When going on and off the throttle for quick bursts of power, the revs slightly lag the delivery of power from the electric motor, giving it a sound and sensation somewhat like the motorboating drone of a small car with a CVT transmission—even though the engine isn’t connected in any way. 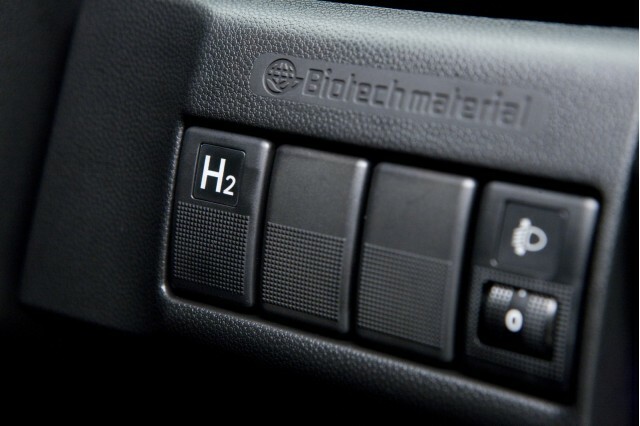 The H2RE’s powertrain responsiveness is much like that of slightly underpowered EVs. Just off a standing start, or at 5 or 10 mph, the H2RE feels super-responsive, as peak torque is available right away in an electric motor. By 30 mph and up to the 45 mph or so we reached a couple of times in a five-mile loop, the minivan was responsive but no longer felt downright quick. 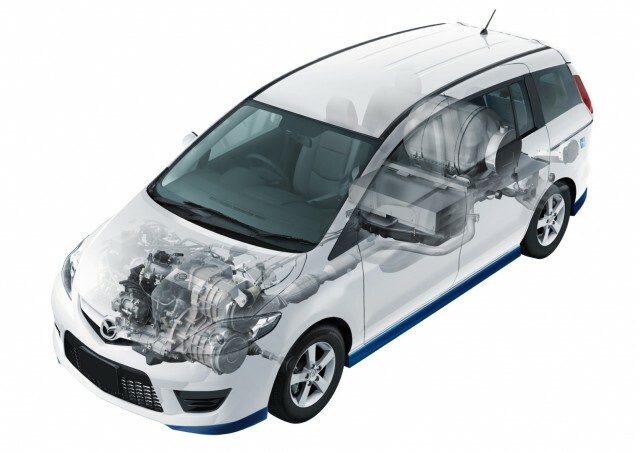 TheCarConnection.com’s editors love the way the Mazda5 handles compared to most other minivans and small crossover vehicles (and even some wagons), and surprisingly responsive handling is a trait that carries through to the H2 RE. 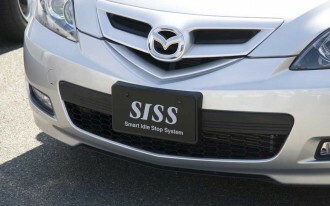 At about 3,870 pounds, the curb weight is only about 400 pounds heavier than a U.S. spec 2010 Mazda5. 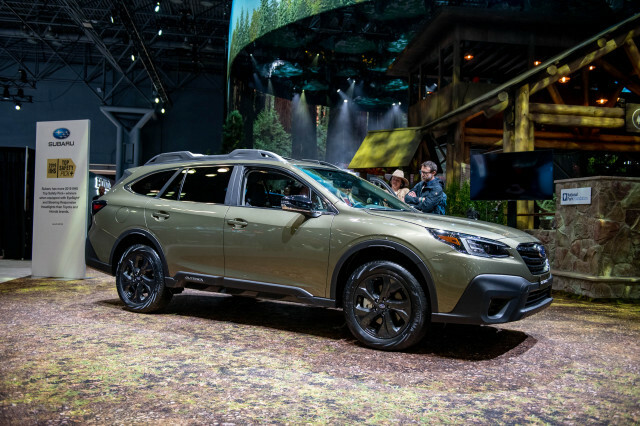 The result is a vehicle that rides and steers much like the standard version, without the heft and hard ride of some EVs and fuel-cell conversions. 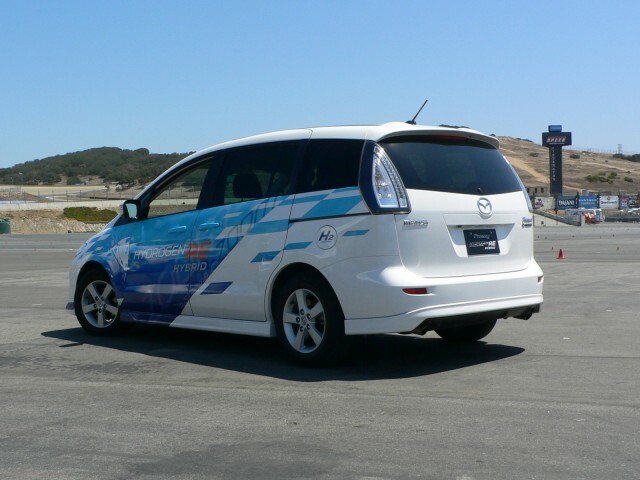 No, we didn’t really push it, but on the curves this hydrogen minivan felt downright nimble. Fortunately, right before driving the Hydrogen RE, we were quite close to empty, so we went over to the Air Products portable refueling station Mazda had brought out for the event and watched the whole fueling process; the process can take up to 15 minutes, yet our nearly empty high-pressure tank, at 35 MPa, refilled in less than five minutes. Driving range is about 200 kilometers (more than 120 miles) according to Mazda. And that’s before considering the 250-mile driving range from the separate gasoline tank. 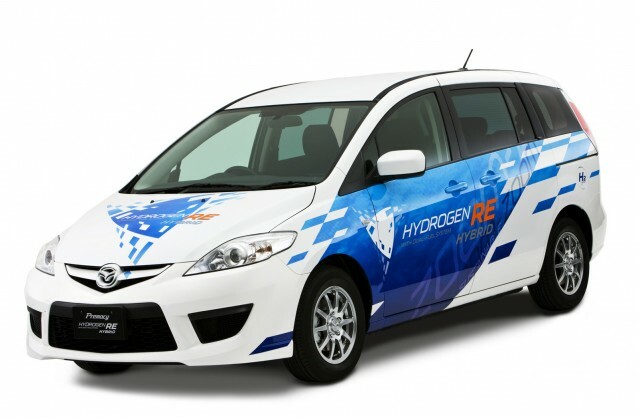 According to Mazda research and development chief Seita Kanai, the company has a total of eight Premacy Hydrogen RE Hybrids in its own fleet in Japan. Under a very limited lease deal, deliveries are rolling out very slowly. 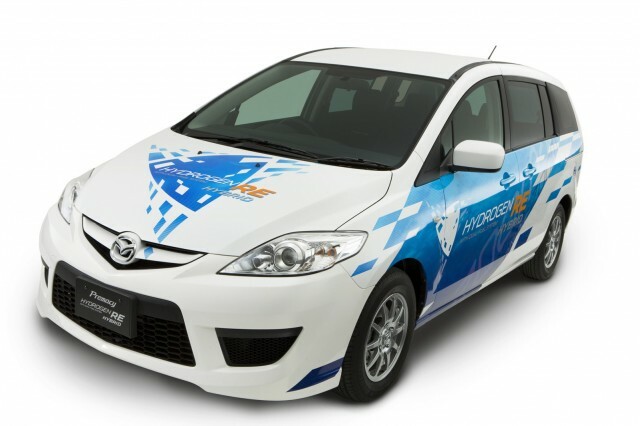 Earlier this week, Mazda announced the delivery of two Premacy Hydrogen RE Hybrids to government fleets in Hiroshima, Japan; these are in addition to the first lease delivery of the model to a Japanese corporation in May. 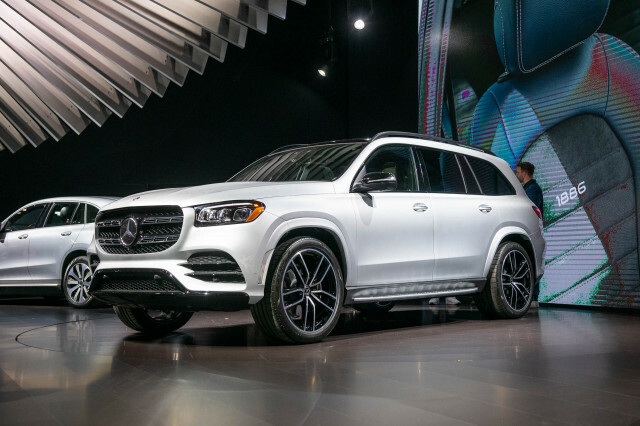 The slow rollout isn’t surprising considering the tremendous cost of these vehicles. 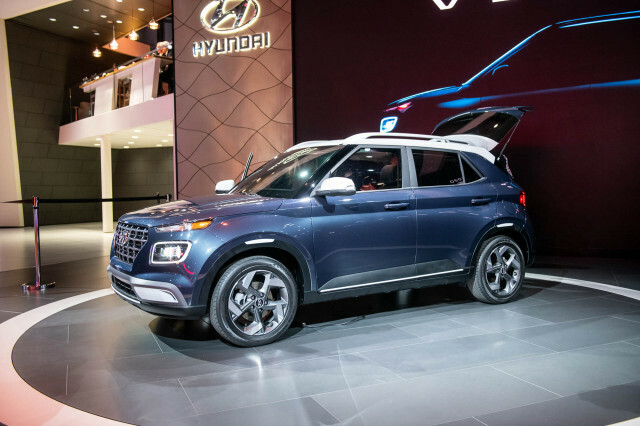 Kanai estimated that the actual cost of these vehicles as they are is in the range of a few hundred thousand dollars, versus ten times that for an actual fuel-cell vehicle. There’s no question that a hydrogen economy and viable hydrogen vehicles are still many years away. 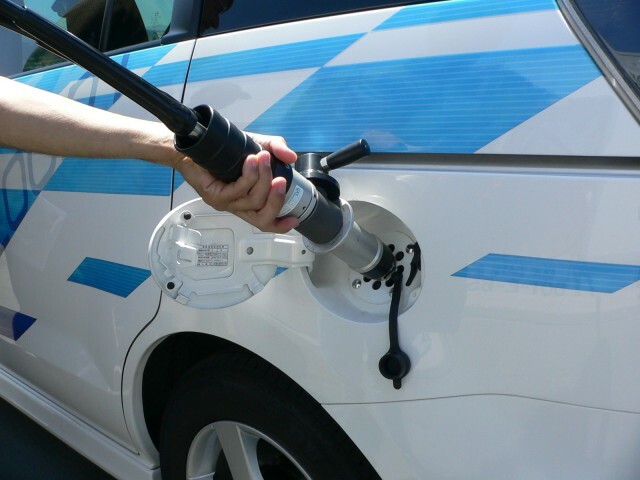 The Premacy Hydrogen RE Hybrid simply proves that fuel cells might only be part of the picture.